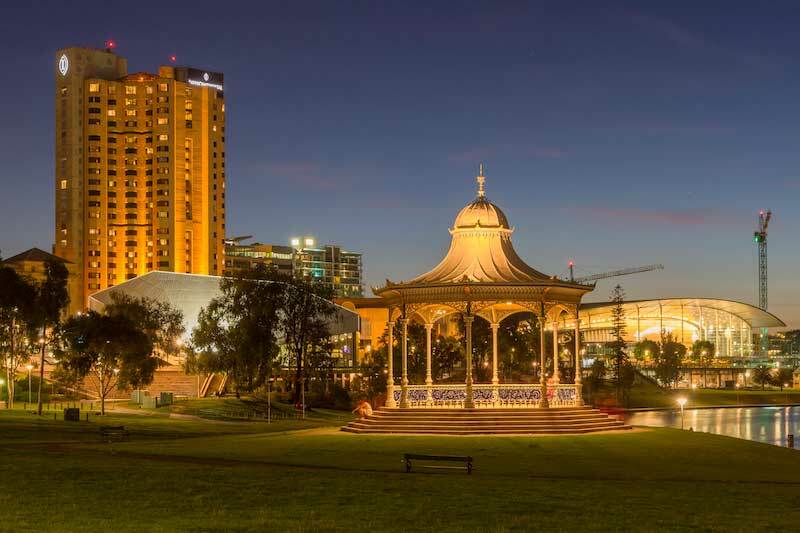 The capital of South Australia, Adelaide is a beautiful city layered in historic colonial architecture, the River Torrens runs through its centre, and it’s surrounded by beautiful wine regions. But for decades Adelaide has been the dowdy younger sibling of Melbourne and Sydney. It’s nightlife was dominated by students; its sports ground and its churches the main draw cards. Departing for the Barossa Valley was the principal reason to arrive. But in recent times Adelaide has found a new sophisticated personality riding on the rise of tiny bars and restaurants that have made use of forgotten spaces in the city’s side streets. So why should you visit Adelaide? Well, Adelaide has recently acquired a sense of style that’s ever so slightly more mature than the big cities on the east coast. While the city sees an annual influx of visitors to attend its famous festivals, now you’ll want to come to celebrate the food, drink, produce and people of Adelaide; there’s an excuse to go to Adelaide for the weekend, just because you can (there are direct flights from Auckland too). For a long time it was hard to find a good place to go out in Adelaide. Licensing laws meant it was almost impossible to serve alcohol unless you ran a giant establishment that catered to hordes of students. Anyone interested in cooking good food or making a decent drink headed east to the big cities. But in 2014 everything changed when the liquor laws allowed for small premises to serve alcohol. Suddenly the abandoned inner city laneways filled with the tiniest bars and restaurants you’ve ever seen as an innovative hospitality crowd started making use of these empty spaces. 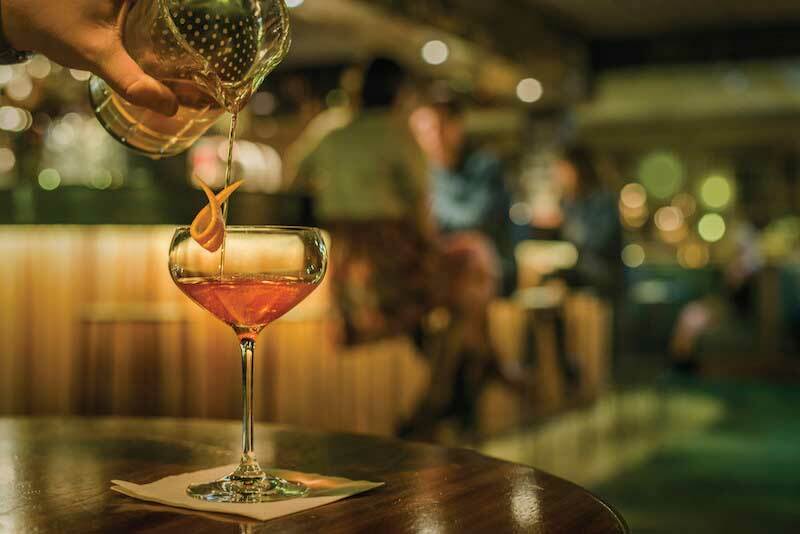 Now, in beautiful rooms with wood-lined bars, dozens of whiskies line the shelves, including delicious local drops from Tasmania; and in buildings no wider than two people they serve cocktails and slow cooked brisket until the earlier hours of the morning. The changes have created a community of coffee shops, sandwich joints, restaurants and bars which form an ecosystem where you’ve got somewhere cultured and delicious to visit almost 24 hours a day. Head downstairs through a secret door to the perfectly hidden, Maybe Mae on Peel St, for an award-winning cocktail. It’s dark and sultry but welcoming. 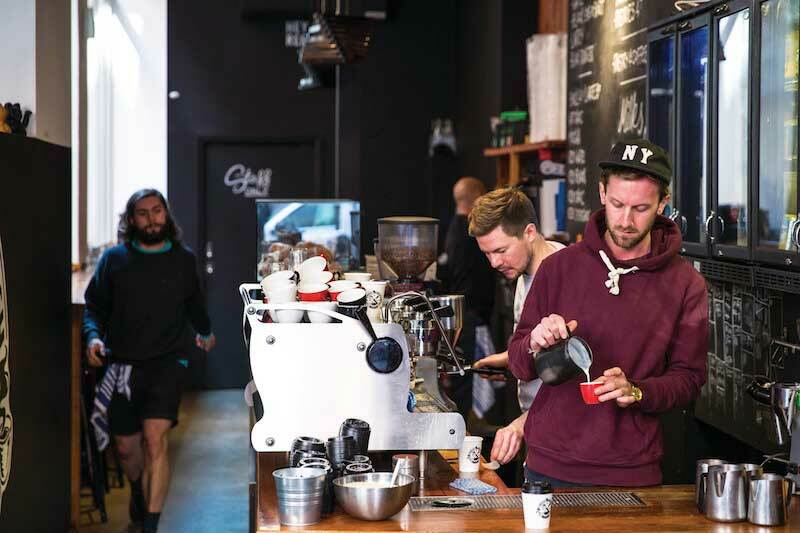 Around the corner on Leigh St, Coffee Branch is perhaps the skinniest cafe you’ll ever go to. The staff love coffee and love serving you coffee. It’s the perfect place to start the day. Later try Modern Japanese cooked over coals at Shobosho. Or visit Midnight Spaghetti at the other end of the famous Rundle Mall, in the winding streets where pedestrians outnumber cars. In Adelaide, if you’ve left the main street for a cobbled alleyway, and there’s art on the walls, anywhere you go is undoubtedly going to serve good cocktails and interesting food, brought to you by people passionate about what they do. South Australia’s diverse climates and fertile soils have made it an extraordinary producer of a huge range of food and drinks. Established in 1869, Adelaide’s Central Market is a historic, loud, and colourful picture of the region’s primary producers. Local traders sell cheese, fish, meat, as well as fruit and veges at the top of their lungs. It’s a worthy attraction. But less well known, a little more hip (without being hipster! ), and a lot of fun, are the Plant 3 Bowden Markets. Three days a week, in the refurbished old Clipsal building in Bowden, there are delicious food stalls, locally grown organic fruit and veg, and local producers selling everything from flowers to gin. There’s live music and a diverse crowd. There’s no hurry, this is food and fun mixed together. The markets are open on Wednesdays from 4 - 9pm, Fridays from 5pm to late, and Saturdays 9am - 3pm. 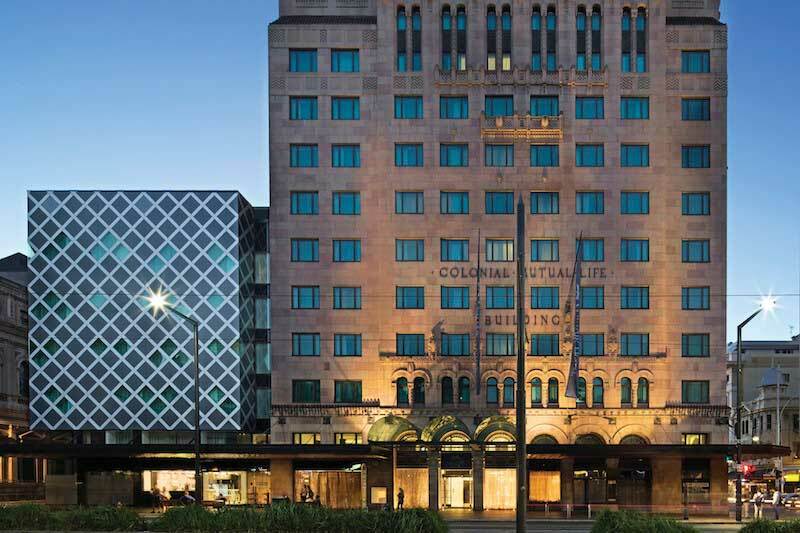 Retrofitted into a 1930s heritage building, The Mayfair Hotel is opulent and sophisticated, yet subtle. Because of its heritage status every room is unique. The detailing is clever and lets you take a trip back in time, while providing modern luxury. The in-house bar and restaurant are classy and come with views of the city, so there’s really no reason to leave, except for the fact your in the heart of the city and behind the hotel is the labyrinth of alleyways that unravels to reveal the best bits of Adelaide. If a perfect Boulevardier cocktail and award-winning modern Asian cuisine aren't enough to get you to Adelaide, then come for its fantastic festivals. Adelaide believes it ought to be as well known for its festival set as Edinburgh - if it isn’t already. 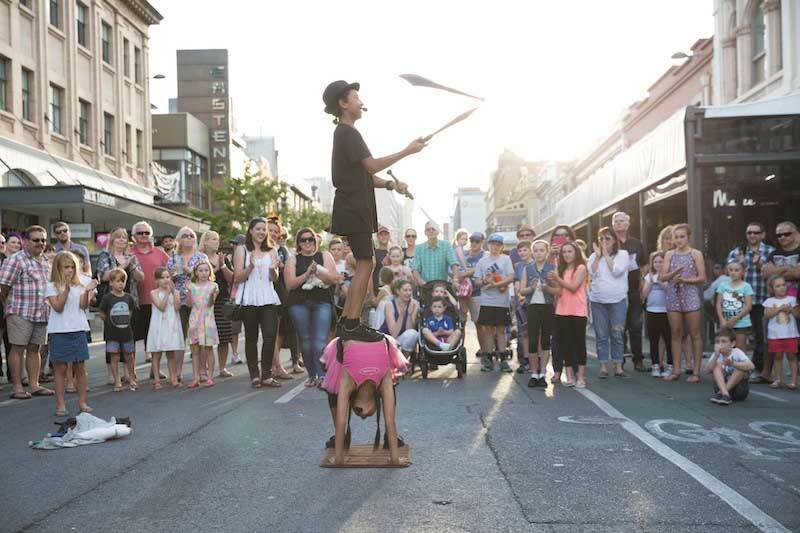 The Fringe Festival takes over the city each February and March with more than 1200 shows coming through the city over the five-week period. It fills Adelaide with life with one of the most diverse cultural festivals in the world, full of world-class acts and hilarious amateurs. Located in Adelaide’s famous Botanical gardens, WOMADelaide is one of Australia’s favourite outdoor festivals. Bringing elite musicians, artists and dancers from around the world, the festival is a cultural journey across the planet, brought into the heart of the city. Each summer the Adelaide festival celebrates local and international music, theatre, dance and literature. It’s a chance to see the newest cultural creations, and the best in the business performing the classics. 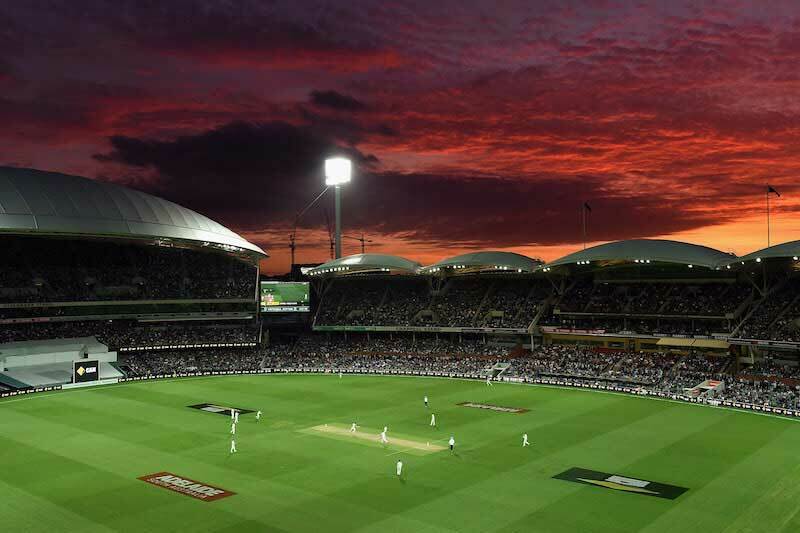 The old Adelaide Oval was one of the most beautiful sports grounds in the world with its grassy bank covered in Moreton Bay fig trees, red brick Victorian architecture, and the Cathedral’s spires peeking over the scoreboard. Its redevelopment, which finished in 2014, made it even better. It's a stunning piece of modern architecture, with its stand covered by floating white sails, but yet retaining its history and past. In summer, catch a cricket match, or in winter a game of AFL. Adelaide is a diverse modern city with something for everyone. Its new air of sophistication and style, has not come at the expense of its historic personality. It’s a vibrant cultural hub, with some of the best places to eat and drink in Australia. Visit now before everyone finds out! Simon Day is the partnerships editor at The Spinoff. He was formerly the head of communications for INGO World Vision, where he travelled to South Sudan, Jordan, Papua New Guinea and India. He's visited 37 different countries.